THE race to capture every available trickle of water in Scotland seems to be reaching fever pitch. I would love to think this is for the long-term good of the environment, but as usual, it's all to do with money. The lucrative subsidies that have been shelled out in the form of FIT (feed-in tariff) payments for small-scale hydro developments are due to end in April next year. No wonder companies are scouring maps of Scotland's hills looking for any remaining source of income before the money tap is turned off. The cost of these schemes has proven to be high for the consumer and the contribution to meeting overall renewable targets relatively low. Meanwhile, the impact on the environment and mountain landscape has been damning. 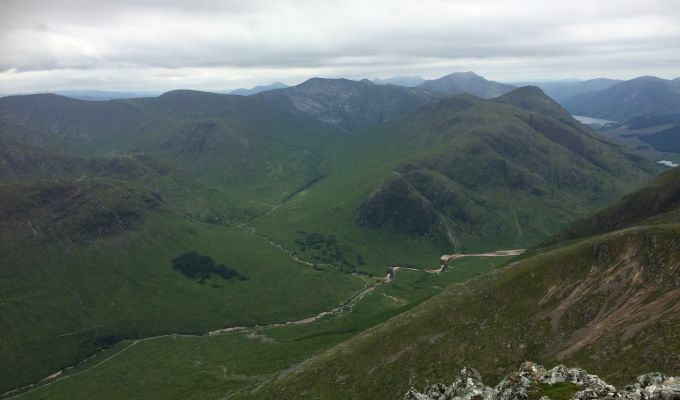 Glen Etive is the latest wild land area under siege with London-based Dickins Hydro submitting seven separate proposals, one for each of the main tributaries on the River Etive. Two are in the top half of the glen, on the Allt a' Chaorainn and the Allt Fhaolain. 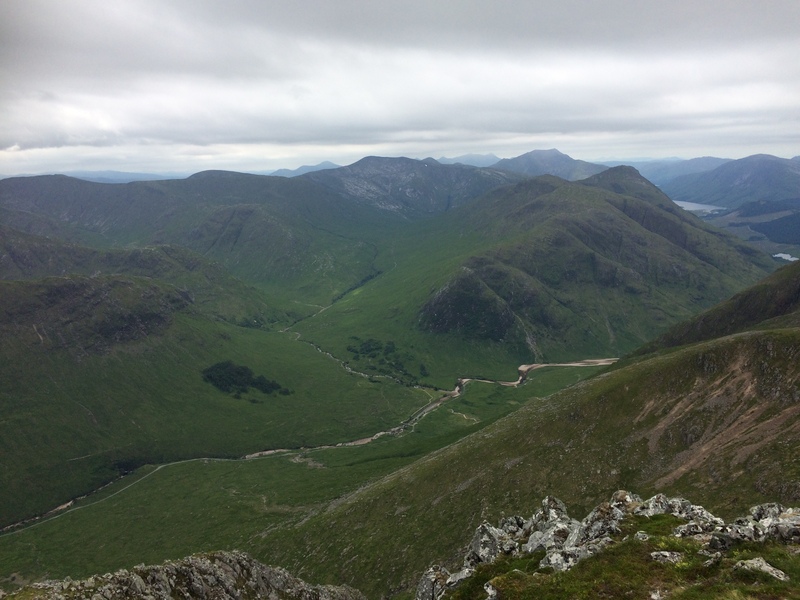 The others are clustered along a four-kilometre section running north-east from the head of Loch Etive, on the Allt Ceitlin, Allt Charnan, Allt Mheuran, Allt nan Gaorean and Allt a' Bhiorain. The area is part of the Ben Nevis Glen Coe National Scenic Area. It's a popular run for white water kayakers and a magnet for climbers and hillwalkers and there has been a flurry of objections lodged with Highland Council, none more so than over the proposal for the Allt Fhaolain. This stream, which runs down Gleann Fhaolain on the southern flanks of the Bidean nam Bian massif, is the sole fresh water supply for the mountaineering hut known as Inbhirfhaolain. The hut is owned by the Dundee-based Grampian Club. They acquired tenancy of the former roadmen's hut in 1961, before buying the property and grounds outright in 1991. It's a well-known and popular base for mountaineering groups all over the country, hiring out at a cost of just £6 per person per night and over the last seven years it has seen an occupancy of of more than 4,500 bed nights. 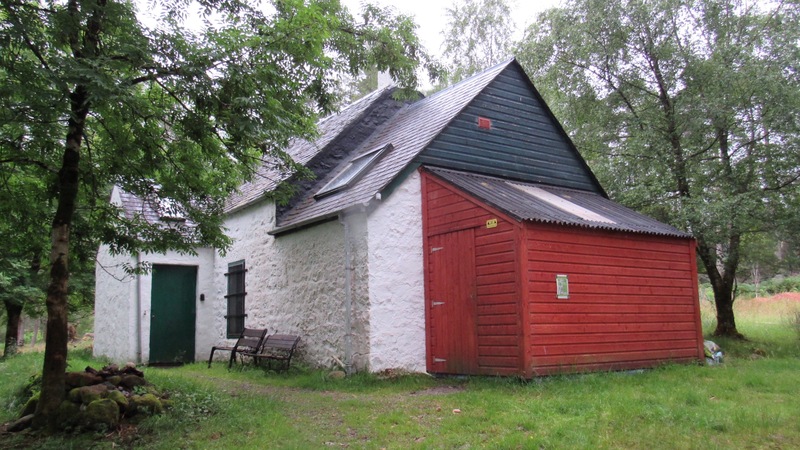 The club has continually reinvested in the property to maintain the facilities and meet the latest health, safety and environmental regulations, but it is feared the hut will become uninhabitable if there is any disruption to the water source and that it may well become an expensive write-off. It seems incredulous that no one from the developers thought to contact the club before submission of their plans and that they had not considered the effect these would have on occupancy of the hut. The title deeds make it clear that the club has a presumed right of access to the water supply system. It would appear that in the indecent haste to lodge these plans, Dickins Hydro had not carried out sufficient research into the wider implications. Those with more cynical minds may suggest there was a hope it would slip through unnoticed. I'm not suggesting we shouldn't harness hydro power. It's far more efficient and leaves less scars than the unfettered march of the windmills. But this whole enterprise just highlights how chaotic the current planning and appeals process is when it comes to renewables. There is supposed to be an EIA (Environmental Impact Assessment) carried out on any proposed scheme but this is often inadequate. Understaffed and overworked council departments are more likely to rubber-stamp anything that comes their way. Even when they do reject any proposal, it is often overturned on appeal by the developers, a right not afforded to the objectors, as the recent wind farm case fought by the John Muir Trust highlighted. Money talks, but mostly it talks nonsense. The promised investment and jobs boost figures are a myth, and the pledges on landscape restoration are soon conveniently forgotten about with little chance of enforcement. With so many high-profile developments in the offing, from wind farms to golf courses and even a spaceport, we really have to get our act together. Tighter planning regulations are urgently needed along with an equal right of appeal. Otherwise we risk being content to accept a handful of (allegedly) magic beans for trading away our most precious asset – the beautiful landscape which tourists flock from all over the globe to see.